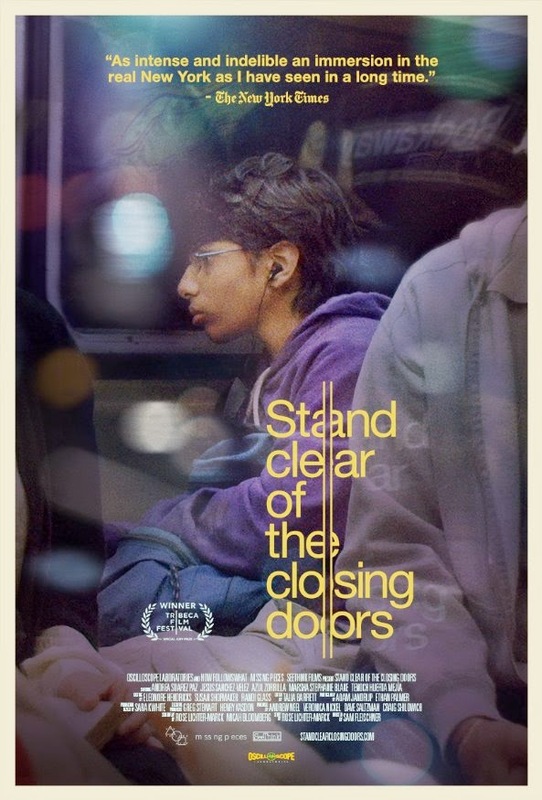 In STAND CLEAR OF THE CLOSING DOORS, his ode to the New York City subway system and the immigrant families who use it, cinematographer and now filmmaker Sam Fleischner thrusts us into the life and mind of Ricky, a teenage kid who is clearly somewhere on the autistic spectrum (maybe Asperger Syndrome plus) as he strikes out on his own to experience... well, the world of the subways. We also meet his family: a sister, for whom Ricky is mostly a chore; his mother, who earns the family's keep cleaning apartments of the 1 per cent; and an absentee father who initially is heard only via phone. Oh, yes: though it is unclear whether or not the kids were born in the USA, mom and dad are definitely undocumented illegals. The movie initially shows us the life of this family in quick, smart, and mostly exposition-free scenes that Mr. Fleischner, shown at left, serves up from a kind of you-are-there, documentary-like perspective, with visuals and dialog that move swiftly along. We see just enough to make us empathize with the family's mother (a nice job by newcomer Andrea Swarez Pas, below) and semi-detest her clueless, disinterested employer; we also understand (though we may not much appreciate) her very American-educated daughter (Azul Zorrilla) and her attitude toward mom and brother; and finally we even understand the family's father (Tenoch Huerta) and his position. Macho and undocumen-ted don't seem to coexist easily here in millennial North America. Some of the scenes Ricky witnesses in the subway -- a mom trying to explain to her child why she is good mother, a fight that breaks out physically between a woman and man -- seem more interesting and immediate than that of our hero, and we find ourselves wanting to know more about them, partly because, at some point, we realize that we're never going to know much more about Ricky. 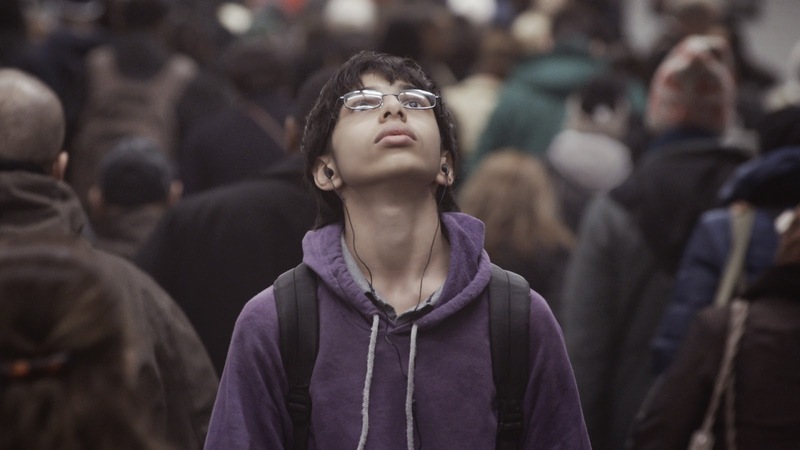 As written by Rose Lichter-Marck and Micah Bloomberg, the screenplay moves back and forth in standard fashion between Ricky and his distraught mom and (eventually) sister and father. While a certain amount of suspense develops, as Hurricane Sandy bears down on New York City, and the subway is about to be closed, somehow the outcome here is never really in doubt. Mom despairs of Ricky's having none of his usual medication, but he seems to manage this (and a lack of food, except for a bag of chips and a banana) rather well, and at 100 minutes, the movie is at least ten minutes too long for the content on hand. Hence the sense of repetition and slackness that develops. 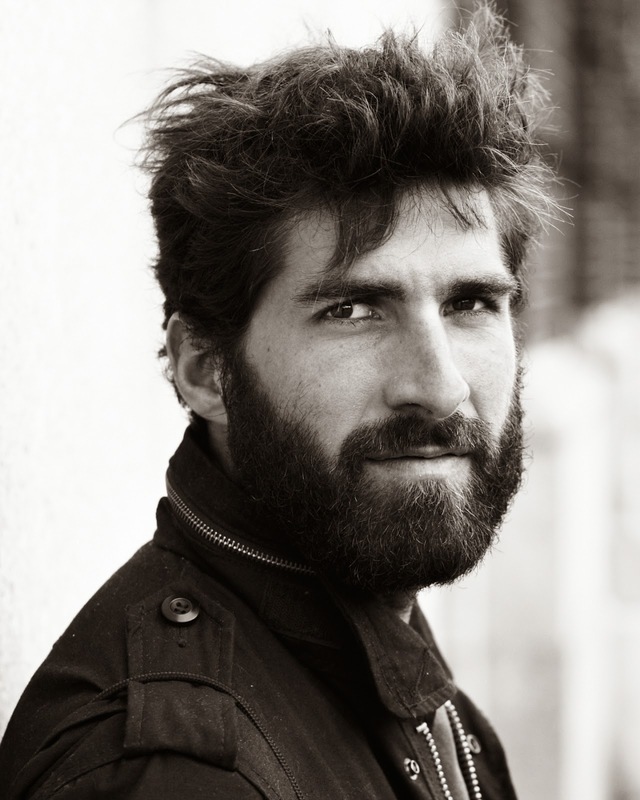 Still, Fleischner, who earlier co-wrote and co-directed the oddly charming and deadpan travel/road comedy, Wah Do Dem, has managed to give us, and Ricky, a very real taste of the New York subways -- from the speechifying Jesus freaks and break-dancing kids "entertaining" their captive audiences to the rude/crude/uglies (like the young man who pours some kind of liquid over Ricky's head) and even a few nice folk, too. All of this is quite bracing. For awhile. 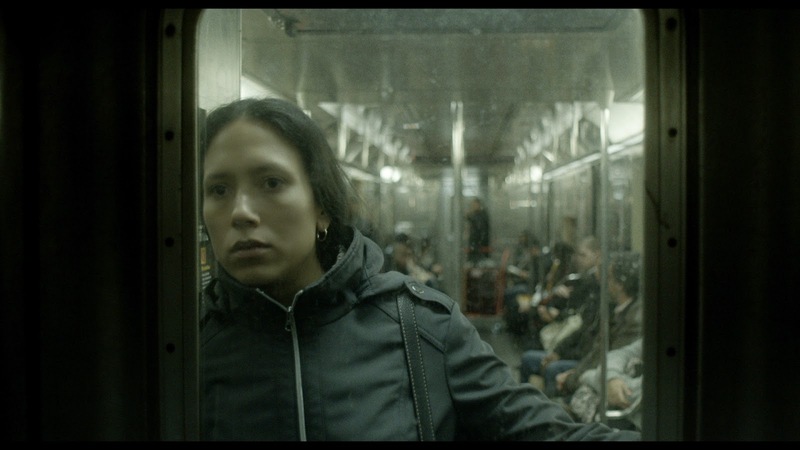 Stand Clear of the Closing Doors (a title that will need no explanation for New Yorkers), from Oscilloscope, opens this Friday, May 23, in New York City at the Cinema Village.